Thanks for a good feature and photo, Richard!! Too bad that tower in the background is no more. Do you have any info on the crumbling concrete milepost across the road from Scorpion Gulch? I hadn't noticed the crumbling concrete milepost you mentioned, I'll have to check that out next time I visit the area. If I find out anything I'll post what I find. Thanks for reading. In it there's also a link to a Flickr photo of the Phoenix Gazette 1966 article. Thanks for the background information about Scorpion Gulch, which I learned about only after returning to San Diego. I definitely imagine that the know-how delivered is strongly related everybody . Thank you . Importantly make sure the Nike Air Max are very good vibrates resistancewe.Nike Air Max 91 with Nike shoe sole for traction technology and physical mobility Nike Free technology.TheNike Air Max Shoes is a beautiful ship and very flawless.The shoes Nike Air Max Boots hovercraft significantly in the heel which is visible side of the base on most models.the design using cotton lining inspired Leahter feet. There are more and more popular, the success is to make materials and design feature styles. Nike Shoes Us is worth buying, rushed to use the time for direct purchase, brings great joy to you. And that is correct, sharing a bottle of pop is not a good thing. 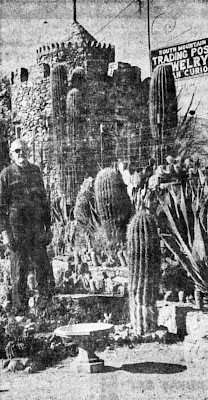 On Flickr it says Scorpion Gulch was built by Jack Lunsford. I'm THE Jack Lunsford, but I didn't build it. It was built along with another building by my grandfather, William Lunsford, and my father, Kenneth W "Bill" Lunsford. All of the stone was gathered by hand & hauled up from the wash behind the property toward the mountains. I don't know if you were still alive it is 2017 May 4rd. Thank you for putting your comments and I like accurate history. Yes! I'm glad accurate information is available too. I'm also a Lunsford & Jack is my father.